This weekend is a special one, not just because Top New Cigars is back, but because Saturday is the 144th Kentucky Derby. Whether you follow the racing circuits or not, you still recognize that the Derby is a classic piece of American history; so let’s pour the Mint Juleps and bring out the new cigars! This week we’ve been taking bets on the hottest new cigars to up your Derby fun and ensure maximum relaxation. We worked hard to bring you an Avo rarity, an Americana classic, and an Espinosa cigar that’s sure to raise an eyebrow. Check ’em out! Wasabi by Espinosa is enough to make you do a double take: it’s a gorgeous candela wrapper over an undisclosed blend of hearty (probably) Nicaraguan tobaccos. If you’re making the longshot bets this weekend, branch out another limb with Wasabi. This green cigar holds notes of ginger, sweet dried fruits, and exotic spice with a tangy finish. America y Americana- Indian Motorcycle cigars are named after the classic motorcycles that roam our scenic country roads. So, with a classic cigar on a historic day, let’s pair this cigar with the Derby classic Mint Julep. The cigar itself is a medium-bodied concoction of sweet Dominican tobaccos in a choice of Connecticut Broadleaf or Ecuadorian Habano wrappers. If you wish for the real Mint Julep experience, watch famed bartender Chris McMillian prepare his and see here how you can win an Indian Motorcycle of your own. 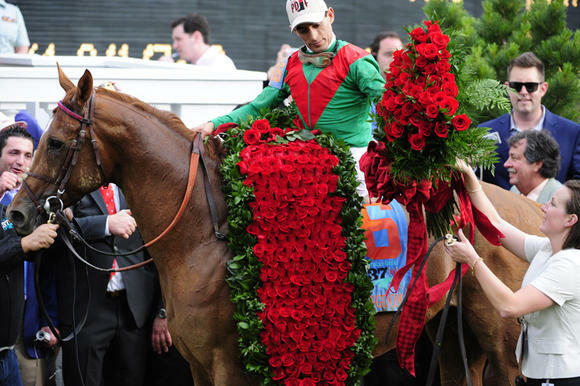 So, your horse won the roses, eh? Avo Maduro is the only icing to top that sweet victory cake, so let’s have it. This special occasion cigar was rolled with the finest Dominican grown long fillers and placed in a uniquely sweet Connecticut Broadleaf maduro wrapper. Undeniable creamy and smooth, all you’re missing is some fine Kentucky bourbon to complete the win. So your horse didn’t win, or place… or finish. But it’s OK, we’ve got the sweet smokes to even things out because when it comes to betting, nobody actually knows what they are doing. These budget-friendly Euro Sticks are perfect to hand out and share, especially the new Irish Cream and Senoritas. The “new” part is the wrapper, a Maduro leaf; and now that you can choose these quick smokes in either the original natural or these darker cover leaves, these smooth, small cigars are a great way to kick back for a quick smoke. HINT: Pair these with a few mint juleps. That’s it for this week. Stay tuned for our next new cigar update – and post your Derby pics below! Cigar smoking is always associated with relaxation and good times. But Zman shares his horror stories, occasions when lighting up became a pain in the ash.